»Accessories»For Laptops»Bags, Backpacks & Cases»Laptop Bags»HP Signature Slim Topload 17.3"
Are you looking for a bag that will be compatible with your 17.3-inch laptop? Do you also expect a very high quality and reliability? Then this product made by Hewlett-Packard fulfils all your needs. The bag stands out due to the very elegant grey colour design that is complemented by bold black lines and dark blue inside pockets. After opening, there are two large pockets for notebook and tablet available to you. The pockets have padded walls and even the frame of the bag is reinforced with padding. In addition to the two main sections, there are small pockets and zippered compartments for all other accessories and small items. This stylish bag lets you take your laptop safely and gracefully wherever you need it. And on top of that, it will stay safe from possible impacts and outside influences. Accessories for HP Signature Slim Topload 17.3"
Für Versand nach Deutschland, besuchen Sie bitte HP Signature Slim Topload 17.3 Zoll. Chcete doručit zboží do Česka? Prohlédněte si HP Signature Slim Topload 17.3". Chcete doručiť tovar na Slovensko? Prezrite si HP Signature Slim Topload 17.3". Für Versand nach Österreich, besuchen Sie bitte HP Signature Slim Topload 17.3 Zoll. 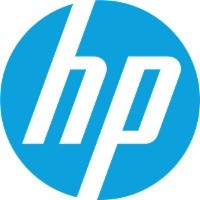 For shipping to the United Kingdom visit this page HP Signature Slim Topload 17.3". Magyarországra történő kiszállításért tekintse meg ezt a termékoldalt: HP Signature Slim Topload 17.3".